Albright IP are qualified to undertake audits under the “IP Audit Plus” scheme. Under the scheme, we can carry out a thorough audit covering existing IP in your business, potential threats, and give advice on IP management and strategy. The cost of the IP Audit is heavily subsidised by the Government. Businesses which qualify for the scheme pay just £400 including VAT towards the cost. How do you apply for an IP audit? You must first be engaged on the “innovate2succeed” or EEN programme. This programme includes much more than just an IP Audit – it provides up to seven days of specialist help and advice. The subsidised IP Audit is just a part of that. Further information on the innovate2succeed programme is available at the gov.uk page. For those already on the programme, ask your dedicated Innovation Specialist about the IP Audit scheme. They will complete the application on your behalf. If successful, it is then up to you to choose an advisor to carry out the audit. For businesses not qualifying for the Government funding, we are still happy to carry out an IP Audit to the “IP Audits Plus” specification and for the same total fee we receive for funded audits, which is £2500 + VAT. 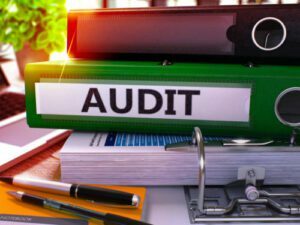 What is included in an IP Audit? An IP Audit includes a thorough review of registered and unregistered IP you already own, as well as a review of potentially patentable inventions and potentially registerable trade marks and designs. As part of this we will look at who is creating IP in your business (for example contractors, employees, etc.) and advise you on best practice to ensure that critical IP is owned by you. We will look at third party IP and advise on how to manage any threats posed. We will advise you on business processes to ensure that future IP is safeguarded in the best possible way. Although the IP Audit funding cannot be spent on the cost of filing new patent, trade mark or design applications, as part of the audit we can do work to identify precisely what should be filed and where to bring best value to the business, which can save costs on a subsequent filing programme. Please contact us for more information, or if you would like us to carry out an IP Audit for your business.